What a SUPER Show! 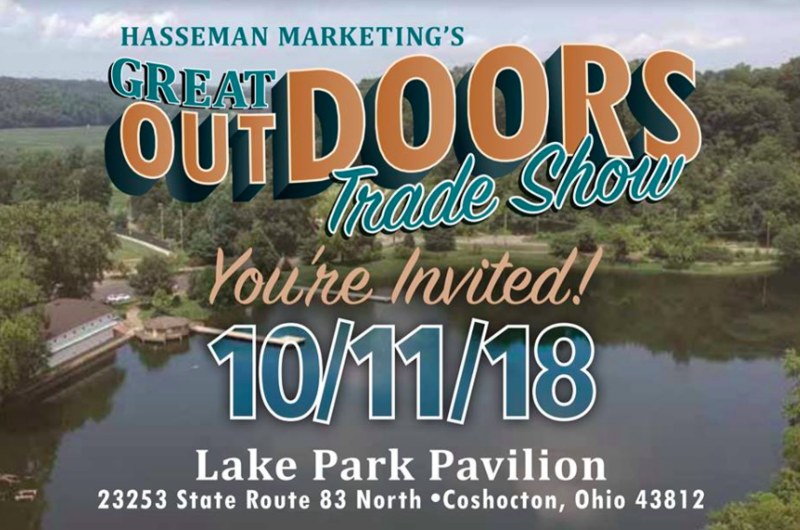 Each year, all of us at Hasseman Marketing work hard to create a Trade Show for our customers and prospects that is fun, festive and adds value. This year was no different! 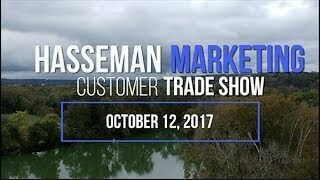 On October 12th, 2017 we had our annual Hasseman Marketing Customer Trade Show. This year’s theme was Superheros. We had many in attendance who seemed to gain some ideas for their employees, clients, customers, etc. 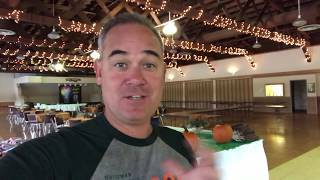 This years show had many amazing products and was tons of fun!! 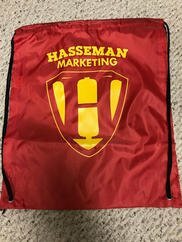 We welcomed everyone with a special bag of goodies. Here is what we gave as our Thank you for attending. String A Sling Backpack – 210d polyester cinch sack backpack. Recommended weight tolerance: 24 lbs. String shoulder straps on the backpack loop for quick-close drawstring top. This item is part of the Awareness by Prime collection. District Made Mens Perfect Tri Crew Tee – Three yarns form the perfect blending of softness and an easygoing look. 4.5-ounce 50/25/25 poly/ring spun cotton/rayon 32 singles Tear-away tagTri-Blend fabric infuses each garment with unique character. Please allow for slight color variations. 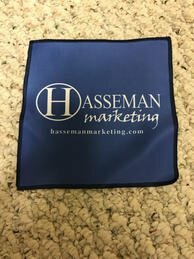 Dye Sublimated Microfiber Cleaning Cloth – Achieve stellar cleaning with a dynamic design. Two pieces of fabric are stitched together, giving the cloth a nice feel. Hemmed edge for polished look. Gorgeous four-color imprint. Festival Pen – Multi color imprint available. Plastic, colored or silver barrel with chrome tip and plunger. Clip to match accent color on grip. Retractable mechanism. Medium point super smooth black refill. Chap Ice® Cherry SPF 04 Lip Balm – Tried and true, our most popular lip balms make any first time user become a lip balm enthusiast. Baxter Plush Stuffed Animal – Plush Pricing includes either a Small T-Shirt or a Bandana. We look forward to next year’s show…..Wonder what we will surprise you with? 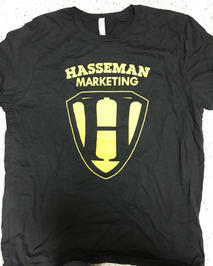 This is just one way we Deliver Marketing Joy to our prospects and clients! If you want more information on any of these products, or if you need more ideas, email us here. And make sure you never miss an update by signing up for our VIP list here.